An electric furnace for melting metals, wherein the required heat is emitted by an electric arc. Carbon electrodes are used to generate the arc. The electric arc furnace is an aggregate for melting steel scrap for reuse as a steel new product. 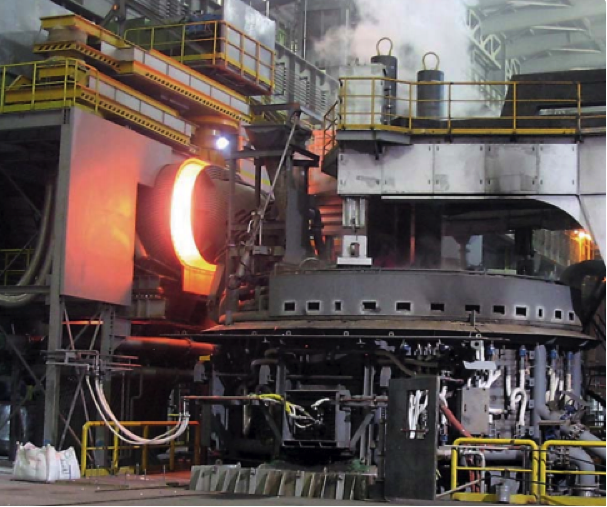 In the electric arc furnace process, electrical energy is used to melt the charge. In this case, a large part of the total energy is converted into thermal energy (up to 3500 ° C), which leads to melting of the steel charge; another proportion leads to heating of the oven lining. The heat above the arc, which burns between the electrode and the steel charge, is mainly transferred to the charge by radiation. 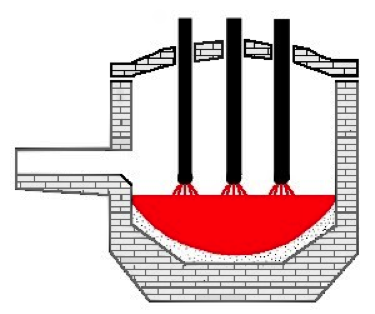 In today's most frequently used AC arc furnace, several arcs burn between the material to be charged (or the melt) and the electrode tip of the three electrodes (Fig. 1).